Vikings Rugby are calling for expressions of interest from volunteers for the 2018 Rugby Season (February to August). The club welcomes new members who want to add value to our family atmosphere, strong culture and pursuit of success. General Logistical help at training sessions. 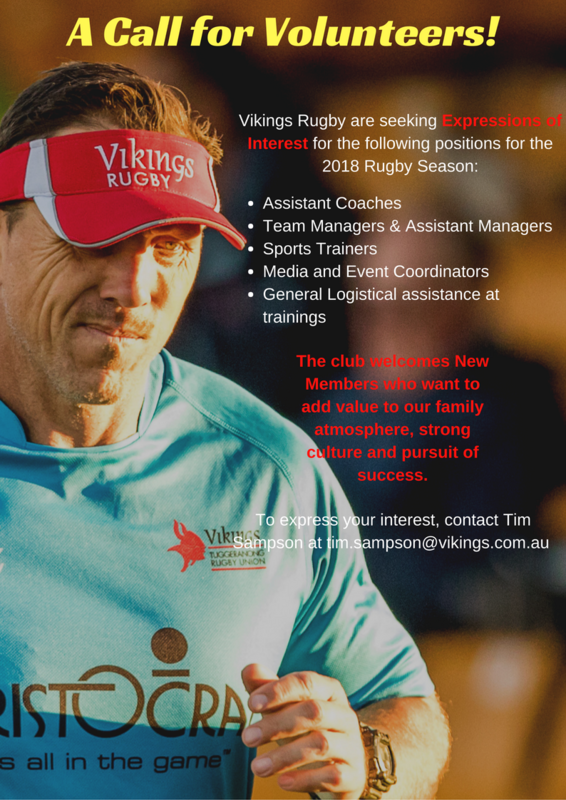 For further information, please contact the clubs Coaching Director Tim Sampson at tim.sampson@vikings.com.au by the 1st of February 2018.